Professor Ofen received a prestigious NIMH grant to study the development of memory networks in children (WSU Division of Research, IOG newsletter "Transitions"). 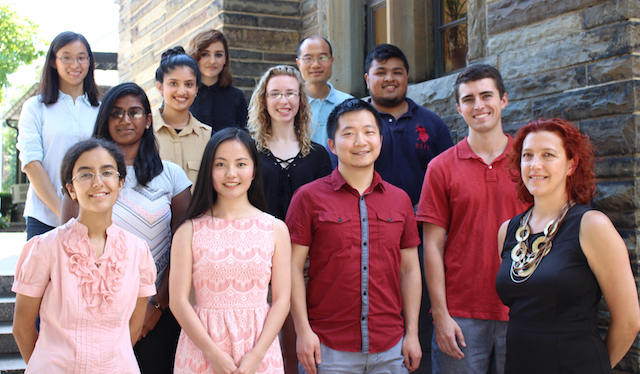 Ofen Lab is welcoming two new graduate students: Qin Yin and Roya Homayouni. Welcome! Our paper "Memory and the Developing Brain: Are Insights from Cognitive Neuroscience Applicable to Education?" by Ofen, Yu & Chen, was published in a special issue about Neuroscience and Education Current Opinion in Behavioral Sciences! Congratulations to the Ofen Lab members for their many recent accomplishments! Ofen Lab is welcoming two new team members: Holly Kern and Hager Alkhafaji. Welcome! Welcome to the Ofen Lab for Cognitive and Brain Development at Wayne State University! Our main research goals involve testing developmental effects in a wide variety of memory paradigms, such as recall and recognition, associative memory and emotional memory. We are also interested in the effects of cognitive control, executive functions, and growth in knowledge base on memory development. Our studies use extensive behavioral assessments, neuroimaging protocols looking at the structure and the function of the brain, genetic information and longitudinal designs to allow multidimensional characterization of memory development. We are part of Lifespan Cognitive Neuroscience Research Program and are affiliated with the Institute of Gerontology, the Merrill Palmer Skillman Institute of Child and Family Development, and the Department of Pediatrics in the School of Medicine.